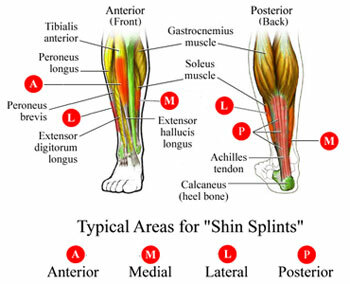 Shin splints produce pain in the lower leg. 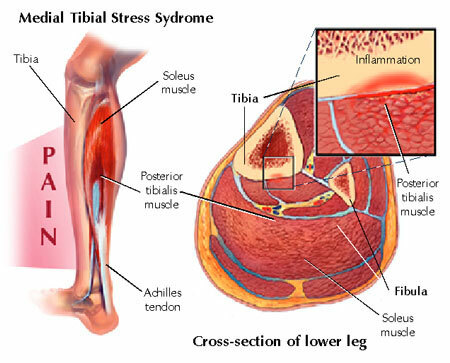 There is inflammation in the compartment and usually occurs in muscles that attach to the tibial bone. Shin splints make up approximately 20% of running injuries and affect more women than men. Shin splints can also occurs often in dancers and military personnel. If left untreated shin splints can progress to a stress fracture along the tibial bone. It often occurs in athletes who have recently intensified or changed their exercise routines. If you have any questions about Shin Splints, contact our staff at Dynamic Physiotherapy.